It’s never too early to start working on your SCGMC projects. 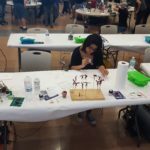 Hell, work on your projects for GBWC and the various other contests that happen throughout the year. TatsuHobby is having a Blue VS Yellow contest at the beginning of April. 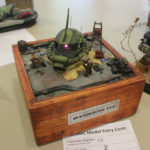 There are IPMS contests, Valleycon in March, and the list goes on; so there are plenty of reasons to build this year. 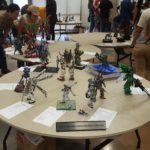 And all entries are welcome at SCGMC! 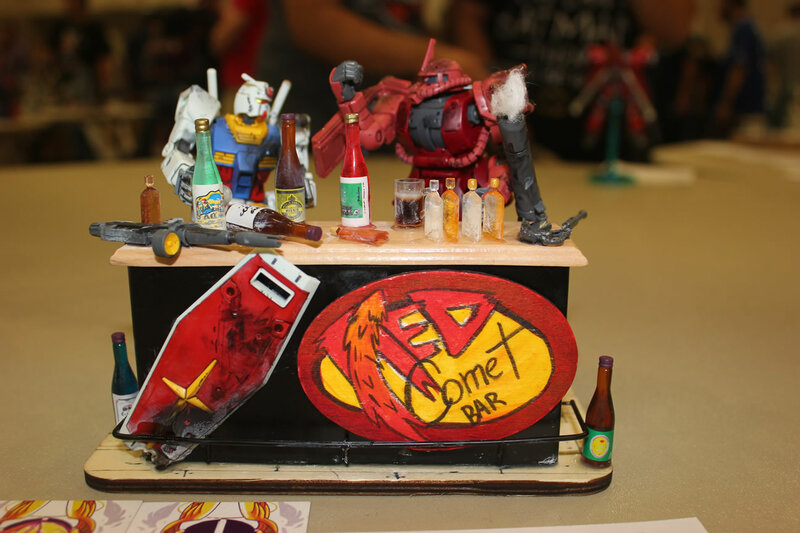 At the last model build gathering, Those Gundam Guys finally narrowed the theme to a few select ideas. Then, through a rigorous debate supported with intricately detailed charts and graphs; the real battle for SCGMC 2017’s theme began. The battle royal raged on with boulders thrown at one another, people pulling out various cutting elements, and others resorting to using stacks upon stacks of thinly sliced wood pulp product. Pitting double zeros against hairy thunder bolting balls on one side while the white devil battled fans of the red comet and giant ac-bears on the other. The winds of war howled hot and radiated brightly until a single entity at last, stood proudly atop the pile of smoldering theme rubble. 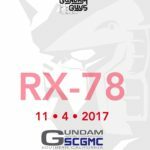 Keyword: RX-78 The white devils themselves! 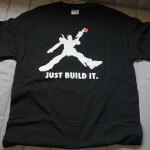 And remember, any prefixes and suffixes combinations that encapsulate “RX-78” qualify for the theme. So let’s get creative! Hell, if you can come up with something completely new and non-canon – we totally welcome that. 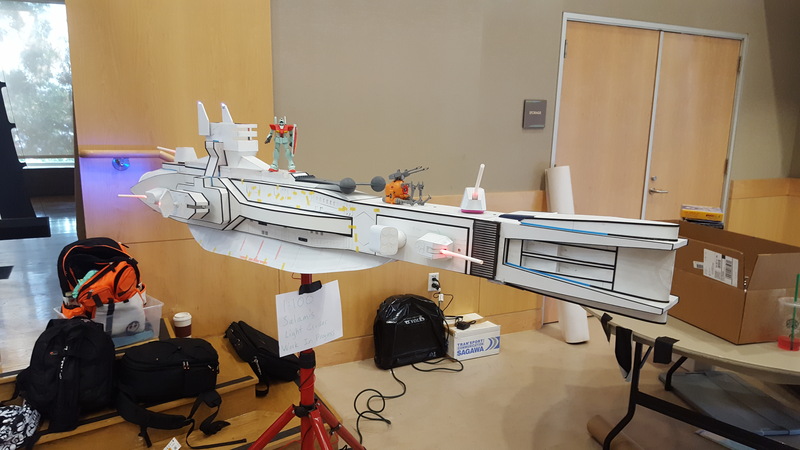 Remember, the theme is just a small part of the whole experience that is SCGMC! Here’s our first advertisement for the show, please print and disseminate indiscriminately and to as many people that you know are interested in gunpla! 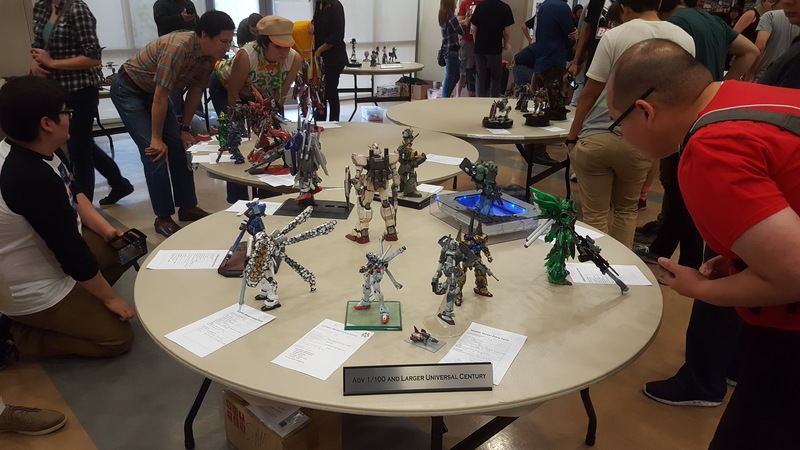 For those that don’t know what SCGMC is, it’s the Southern California Gundam Model Competition. This was our 6th year hosting this competition; and even though there was a big convention happening the same weekend (Pacific Media Expo – PMX) we still did quite well. 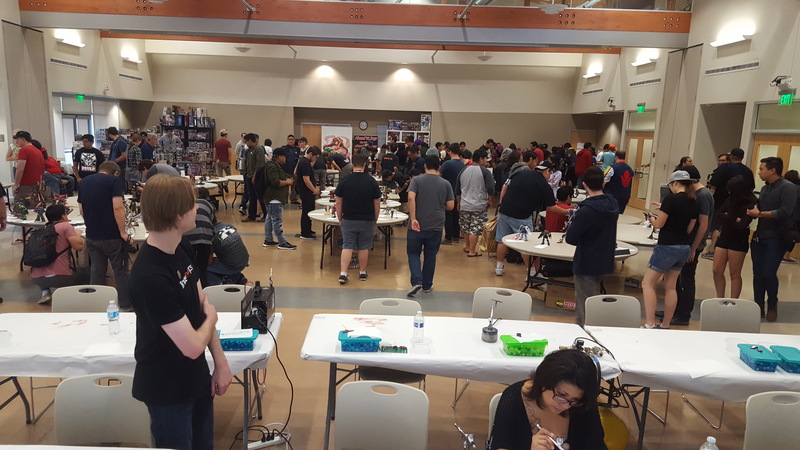 We had 280 people in attendance. Of that, 87 entered the contest with 178 entries. Yes, 178 individual entries. 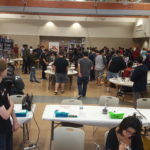 One guy was responsible for about 17 kits. We had people travel from Arizona, Vancouver Canada, Minnesota, Seattle, and Virginia specifically for this show. 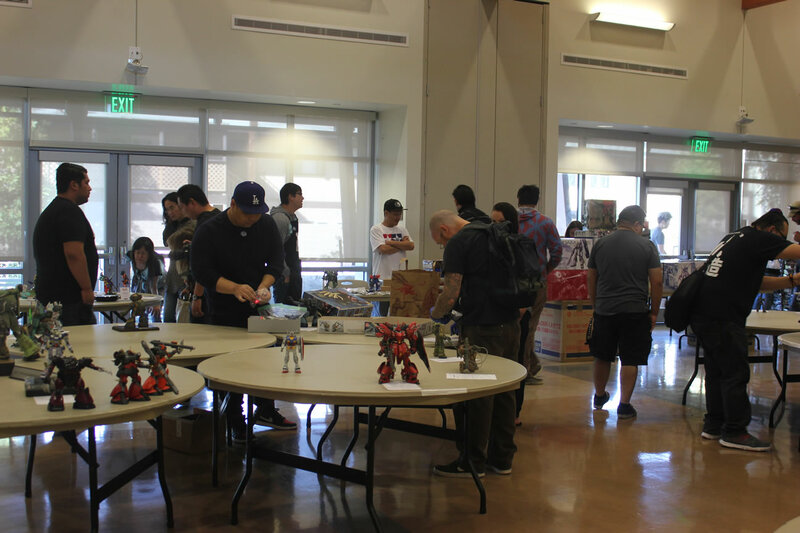 Without any doubts, this is THE BIGGEST LIVE GUNPLA contest in North America. 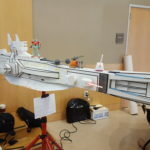 We had several live demos that had actual hands on experience with airbrushing, water slide decal application, and photography. 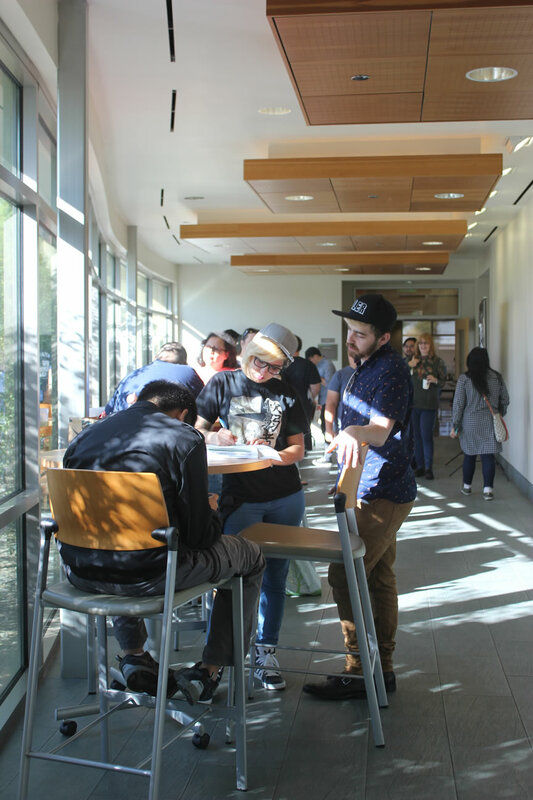 We set up two photography booths so that once judging was done, the entrants could grab their kits and take some professional pictures of the kits after learning how to take pictures with the live demo. 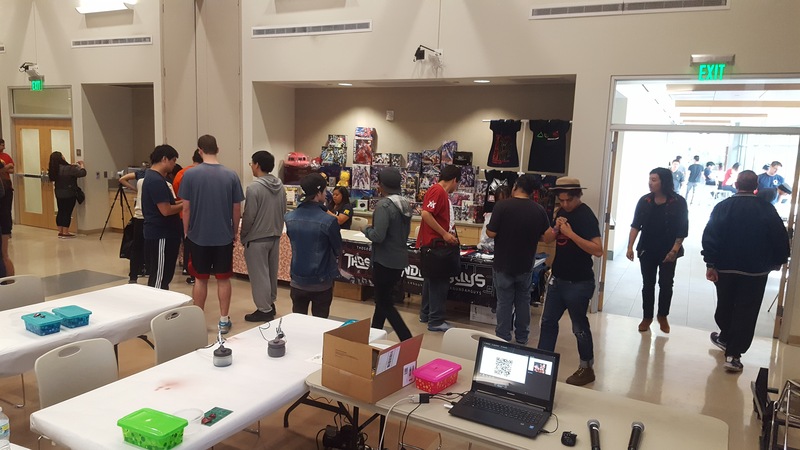 We had 6 vendors including ABC Toy 4 Me, Robot 4 Less, Robo Toy Fest, Tatsu Hobby, Modelers Alley Creative Studios, and Volks Hobby USA. More details about the show after the jump! 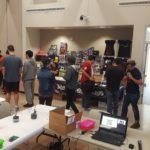 SCGMC is only 2 months Away! 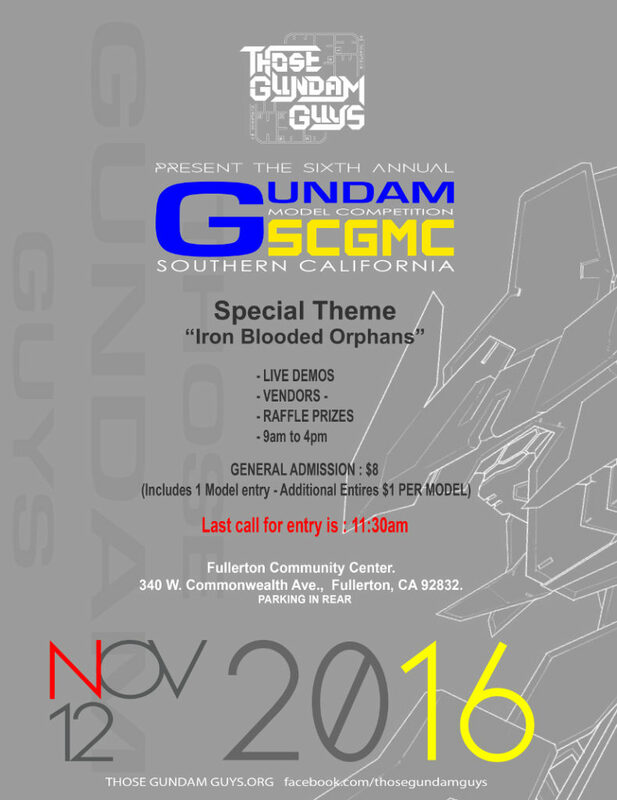 The Southern California Gundam Model Competition is only 2 months away! Time to get your butts back into gear and start finishing up your projects. If you haven’t started, then you have 2 months to get something done. For a special treat, we’ve gotten our special limited print T-shirts for this year’s event. Another “Char’s” T-shirt. 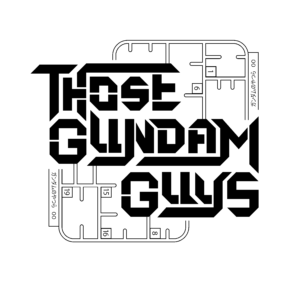 Ok, it’s really Quat*coughChar*cough*tro Bajeena *cough*Casaval*cough*. 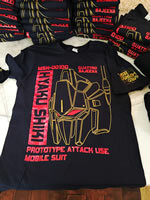 The shirt is done with gold lining for the Shiki head and red highlight on a navy blue shirt. 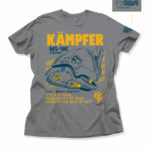 Brandon Hopkins designed the shirt and it looks damn good. Pictures really don’t do this justice. They will be availabe in limited numbers at SCGMC on November 12, 2016. Pictured below is all that there is for these shirts. 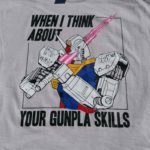 Since more and more women are getting into gunpla, and more and more women who love their men that love gunpla come along; there has been a huge increase in the demand for a more feminine cut shirt design. 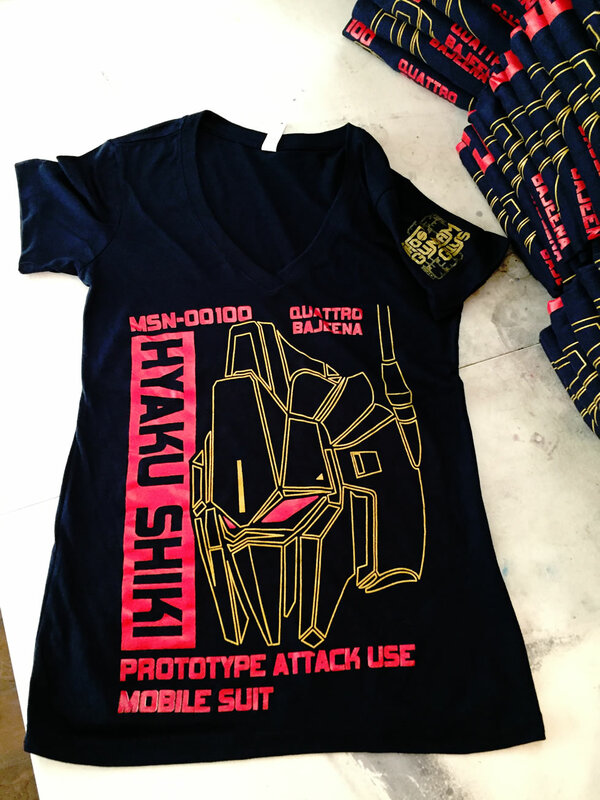 So we’ve listen to that request and have some of the special edition Shiki shirts printed on a women’s cut V-neck shirt. Now women sporting our TGG shirts can look even sexier! 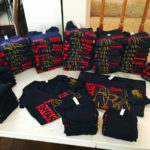 But of course, our standard crew necks will be available at the show. 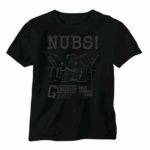 We have sizes from small to 3XL. 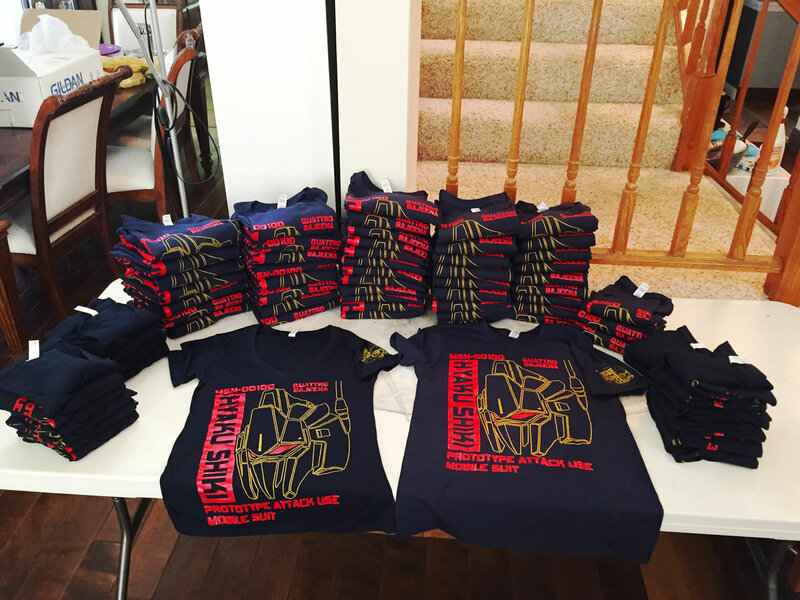 But again, very limited numbers so come early and grab one of these shirts before they’re gone. Of course, we still have a decent selection of our other shirts too. But enough about the shirts! 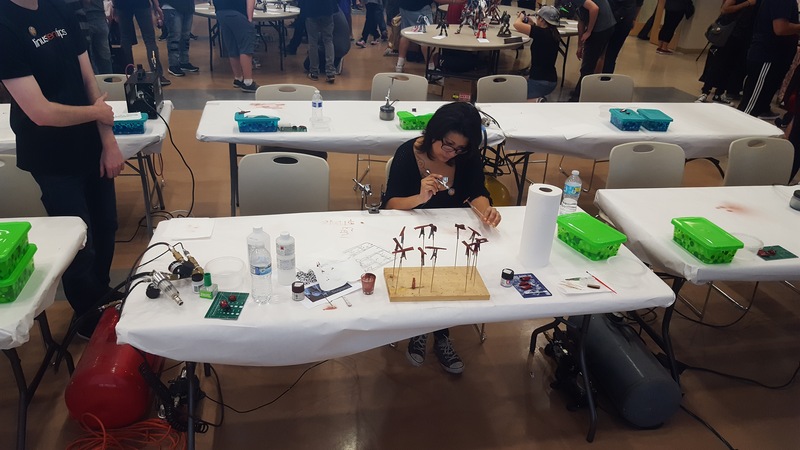 Get yourselves in gear; start slamming some paint, glues, hobby knife throwing, putty flinging, etc and get those kits done. Nothing wakes one up at the show more than walking by a kit and getting a nice wiff of freshly painted styrene.